All-in-one inkjet printer has a detachable Android-based color control panel which looks and acts like a tablet, but isn’t. So what can you get in a $399 all-in-one printer in 2010? 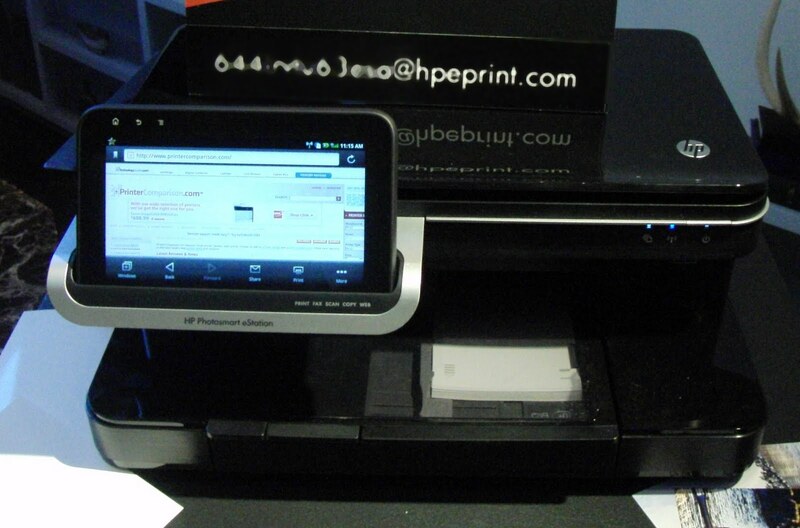 Answer: The HP Photosmart eStation , a unit with a detachable, wireless Android-based control panel. The seven-inch color touch screen offers a full Web browser and a selection of HP Web apps, including an airline app that will print your boarding pass in four clicks. At the HP Imaging and Printing Group Innovation Summit in New York Monday, HP showed how the eStation’s panel can surf the Web without a PC and can download and print out online documents. Like other printers announced this year, the Photosmart eStation supports HP’s ePrint feature, which allows you to e-mail print jobs to the printer from any Web-connected device. The control panel is similar in size and shape to many of the new Android-based tablets like Samsung’s Galaxy Tab, but even though it’s based on the Android 2.1 operating system, it’s not configured to act an independent tablet. While it does have a solid Web browser, supports multi-touch image resizing and rotates the image from portrait to landscape orientation as needed, it doesn’t have a memory card slot and it doesn’t have access to the apps in Android Market. It does, however, function as an ebook reader and to that end has access to the Barnes & Noble eBookstore. The control panel has a little more heft than some of the newer tablets but has a solid feel and proved very responsive. Already installed in the control panel are apps for Facebook, Yahoo, the Snapfish online photo service and other websites. Also installed is a Delta Airlines app, the first of what HP representatives said would be a handful of links to airline ticketing systems. The app will allow users to print out their board passes in four clicks, HP said. 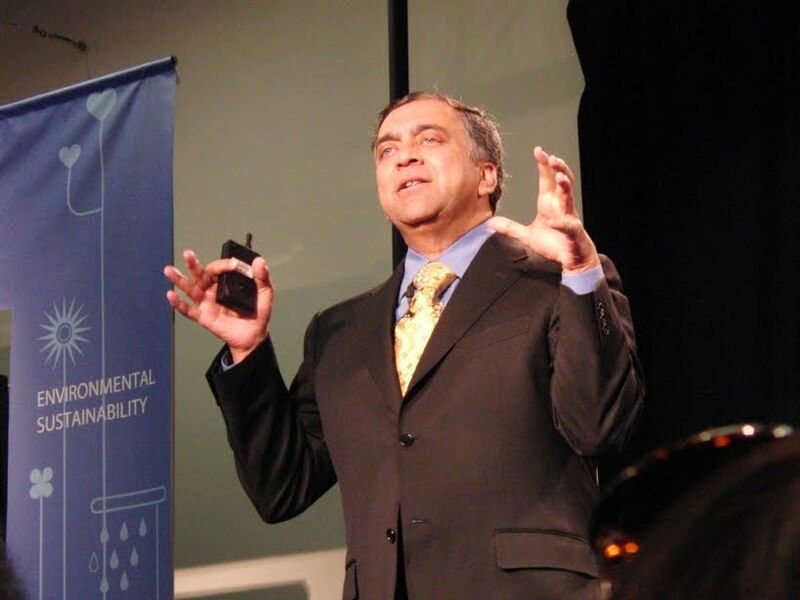 The control panel will evolve over time and more apps may be added in the future, HP representatives said. The eStation can send faxes over the Internet, thus negating the need for a telephone line, and supports two-sided printing. According to HP, the unit can generate up to 33 black and white pages or 32 color pages per minute, its scanner tops out at 1,200 by 2,400 dots per inch and the unit supports the 802.11b/g/n Wi-Fi standards. Hewlett Packard led off Internet Week in New York Monday by unveiling ePrint, a new Web print service that allows users to print from any Web-enabled device whether it has built-in printing support or not. The new ePrint service will come with a wave of new all-in-one inkjet printers starting at $99. During a morning press conference, Vyomesh Joshi (right), HP’s executive vice president for Imaging and Printing Group, noted that all of the new printers will come with their own e-mail addresses. Sending a print job to any of the ePrint-enabled printers is as simple as sending an e-mail he said. While three of the four new printers will be available in August and September, the $99 HP Photosmart e-All-in-One printer, which features a 2.4-inch touchscreen and a flatbed scanner, will be available later this month. For more on the new ePrint service, see my piece at PCWorld.com.